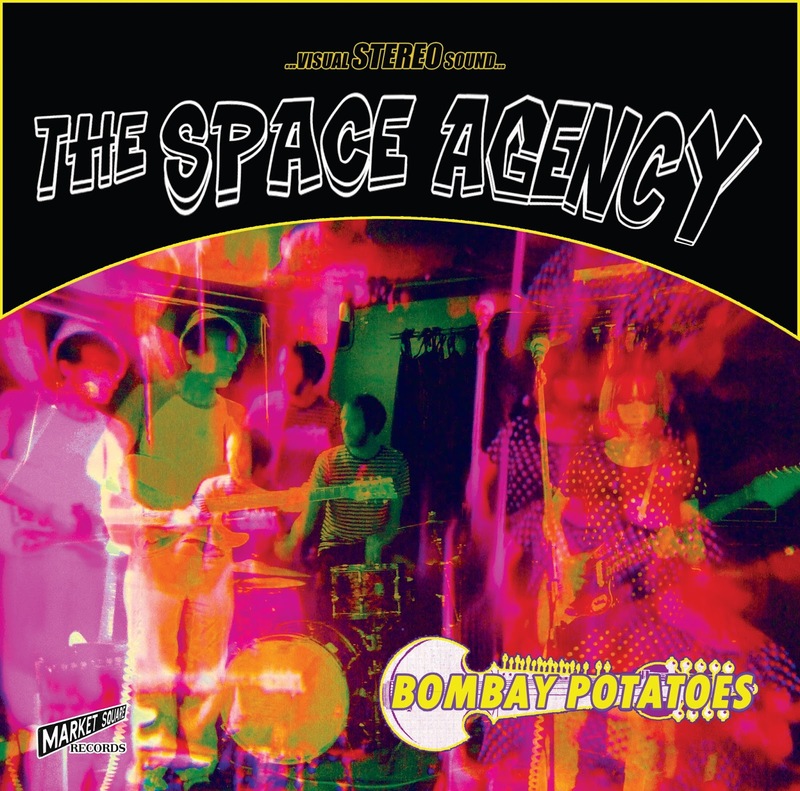 The third 45rpm single on Market Square comes from South-Coast instrumentalists The Space Agency, the single is limited to 300 copies only, housed in a cool picture sleeve and is individually hand numbered, you know the drill by now. The Space Agency are one if not thee best instrumental group around today, The Hove based trio comprise of; multi-instrumentalist Simon Jones (ex- Vibrasonic), who takes care of the songwriting and all of the lead 6-string duties alongside Hiromi Jones, rhythm guitars and bass vibrations (sometimes even the baritone guitar too) and on the drum-kit good friend Andrew Bowler who holds the whole trip together with some tight snare and symbol playing. 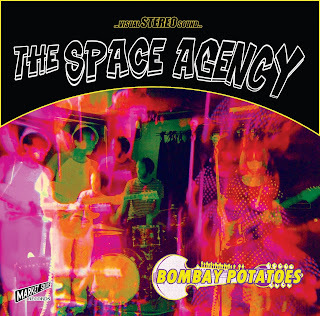 The A-side 'Bombay Potatoes' hits first like some long-lost exploitation movie soundtrack, Jones providing the right amount of reverbed guitar and some great electric sitar playing courtesy of the Coral Sitar Guitar, the track meanders mesmerically until it erupts in fuzz at the end, the perfect psychedelic instrumental ... a way hip floor-filler for any Disc Jockey who has any sense. The B-side 'Purple Power' is a menacing instrumental, with sniggering guitar lines, amplified by Fender's glorious treble tone, this is a surf-styled instro which even the best of 60s combos would be proud of having in their set, fluid playing once again by Jones throughout not too mention great and equally creative accompaniment by his backing band. 'Market Square' are proud to unleash this instrumental two-sider, making for the perfect psychedelic anecdote for a hazy UK Summer. Be sure to grab this 45 quick, or suffer the fate of being a Hodad. DIG THE BAND'S PROMO FOR THE SINGLE BELOW!!! Brilliant single - love the Space Agency.